NVIDIA announced Tuesday that it intends to start licensing its intellectual property to chip makers. With the current state of the PC market and ever increasing sales of mobile computing devices and smartphones, NVIDIA is trying to get the most out of its graphics IP portfolio by allowing competitors to design chips with NVIDIA GPUs inside. 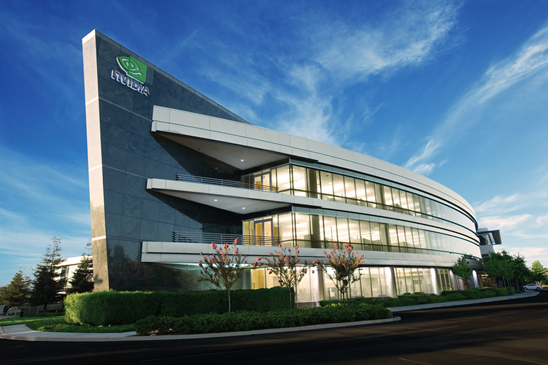 At first, NVIDIA will be looking to license their Kepler architecture to be implemented in Android devices. Kepler is best known for high-end discrete GPUs, but it is also capable of operating in low-power, starting at 0.5W. NVIDIA will be using Tegra in its own upcoming Tegra chip, code named Logan. This opportunity simply didn’t exist several years ago because there was really just one computing device – the PC. But the swirling universe of new computing devices provides new opportunities to license our GPU core or visual computing portfolio. In their official blog post Tuesday, it is obvious that Kepler is the product that they aim at licensing in the very near future. Furthermore, the company states that its whole intellectual property portfolio is available for licensing, allowing licensees to develop their own products while enjoying world-class graphics technology. The strategy is in line with other companies business models, notably ARM Holdings. ARM does not produce chips, they solely design and license them. NVIDIA didn’t say if they intend to stop producing their own design in the future, or when. NVIDIA is the company that invests the most heavily in visual computing, with around 1 billion dollars per year in R&D, and possesses more than 5,500 patents, issued and pending. Stock price for Nvidia Corporation (NVDA) is up 6.74% to $15.37 in the wake of the announcement. basically going the line of Intel Inside. This can potentially create a lot of new businesses of GPU makers, using Nvidia inside. I wonder how this move will look like 5 yrs down the road? Nvidia is quite a little player in the smartphone market. Tegra is not selling by the truck load. By letting other players implement their GPU designs with ARM processors, they can get a lot more money back from their investments in R&D. AMD will not follow Nvidia in licensing. if Nvidia plans to allow others to integrate its graphics architecture into a wide range of application processors, then AMD wants to design chips with third-party IP for various markets. Nvidia is selling IP to others. AMD is buying IP to implement in their own semi-custom chip designs.